As an artist I experiment with the mediums in which I express myself, but clothing has always been my favorite — how something so utilitarian could be a live-in, forever malleable, touch-and-feel kind of medium. I think the first question I get when I describe clothes as such is “why didn’t you become a designer?” And to be frank, I don’t really have a good answer to that besides life circumstances I suppose, and it’s not that I didn’t, but that I haven’t. My intention with Bangle Banger started as a place to put my envisioned blur of the Indian and American style identities. 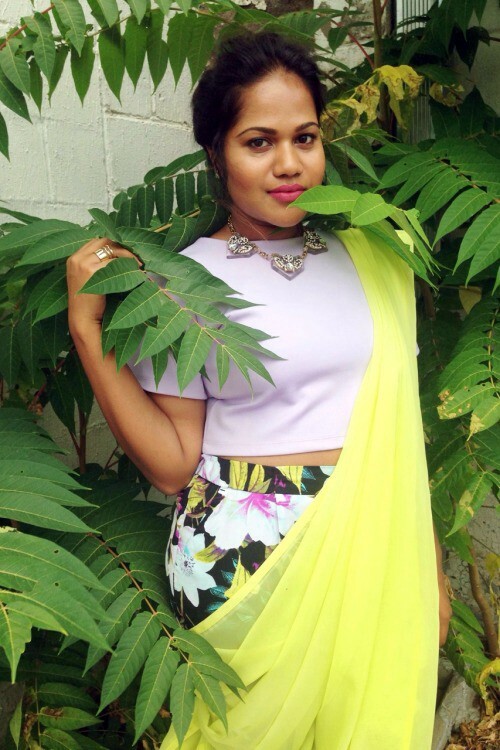 South Asian women get a lot of unsolicited expectations on what they are and are not suppose to be. I find that to be crippling for such a large and strong group of people who are capable of much more. So, I’ve decided to use clothing and my presence on the internet as a form of resistance to that. What started as a humble concept has already polarized people, including loved ones who want to shelter us by silencing us. That by far is the biggest struggle for me, challenging familial expectations of what success, visibility, and strength all mean. Many of my sartorial choices come from juxtapositioning opposites such as masculine and feminine, ornate and minimal, light and heavy, bold and dainty etc. Every once in a while I also dabble in color theory. My inspirations come from everywhere — from the Kardashians to Fashion Week. There’s usually a fair amount of planning that goes into a BB post. 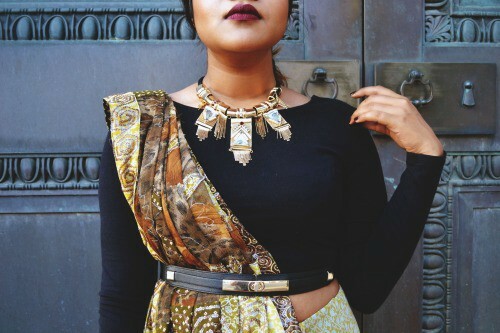 The process goes a little like this: First, I pick the main piece I want to wear — be it a saree, or blouse. From there, I start working with the color scheme. Do I want to stay in the same color family, or work with complimentary colors? Then I move on to accessories, which does the most elevation for a look. Makeup and hair can take it from being pedestrian to almost high fashion. And that’s where I want to be, this in-between street style and high fashion. You could almost see the photos in a magazine, almost. The shoot is phase 2 of the ordeal. Finding the proper background, poses, lighting. There is a quote that exemplifies the creative process: that it’s 99% oyster, 1% pearl. When it all come together naturally, that’s the pearl. Every step of this process is important to me and I put my all in it. It doesn’t always come out how I want it, but it helps me figure out what works. 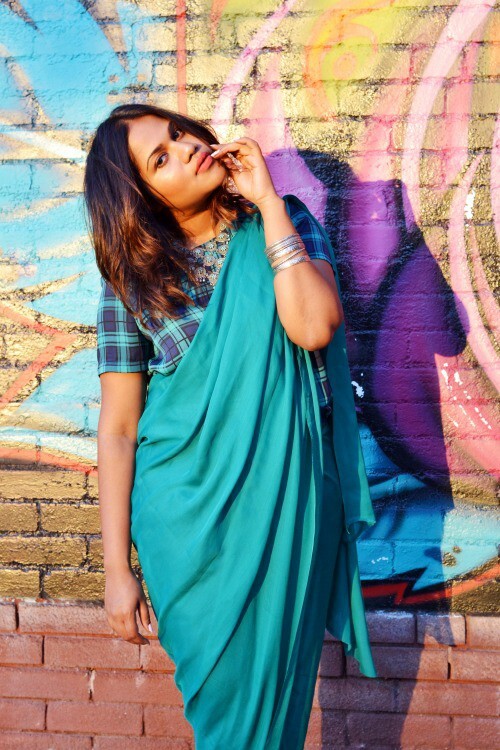 What started as a sartorial project to post photos of Desi outfits I put together in my head became a place of strength, solidarity, representation, & diasporic survival. Unlike many artists who have a clear vision of what their art is instilled to do, I fumbled and stumbled my way into a void, a very large void. 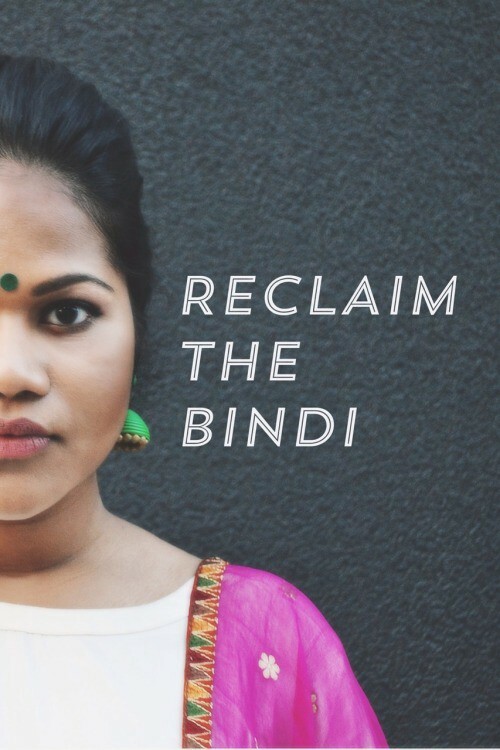 There is a lack of a space that celebrates the hyphenated Desi identity in Western societies. 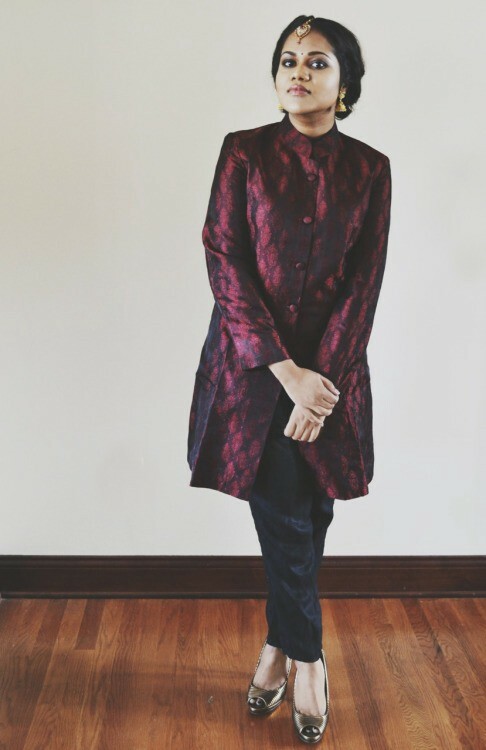 South Asians aren’t given enough images of themselves to understand that there are others like us who are doing things beyond engineering and medicine, who are challenging the ideas and expectations placed on us by our parents and the oppressive society we live in. I feel as though I’ve been jolted into a purpose that I didn’t know I had when I started this project. I understand that I owe no responsibility to anyone besides myself, but I can’t help but reach out /stand up for other Desi women.